So today we’re going to have a look at some colour correctors. What are colour correctors? Well, they are used to cancel out discolouration on the face. This is usually done before applying foundation to help eliminate blemishes and rosacea showing through your make up. Usually green tinted products are used to neutralize red tones on the skin. Use this for covering blemishes, spots, red blotches, rosacea and red cheeks. Purple or lavender tinted products are used to normalize yellow-coloured skin imperfections such as sallow complexions and yellow bruises. It can also help conceal very dark under-eye circles and dark spots on bronze skin tones. Also known as Apricot in colour, used to conceal bluish bruises, under-eye circles and mild red tones on the face. 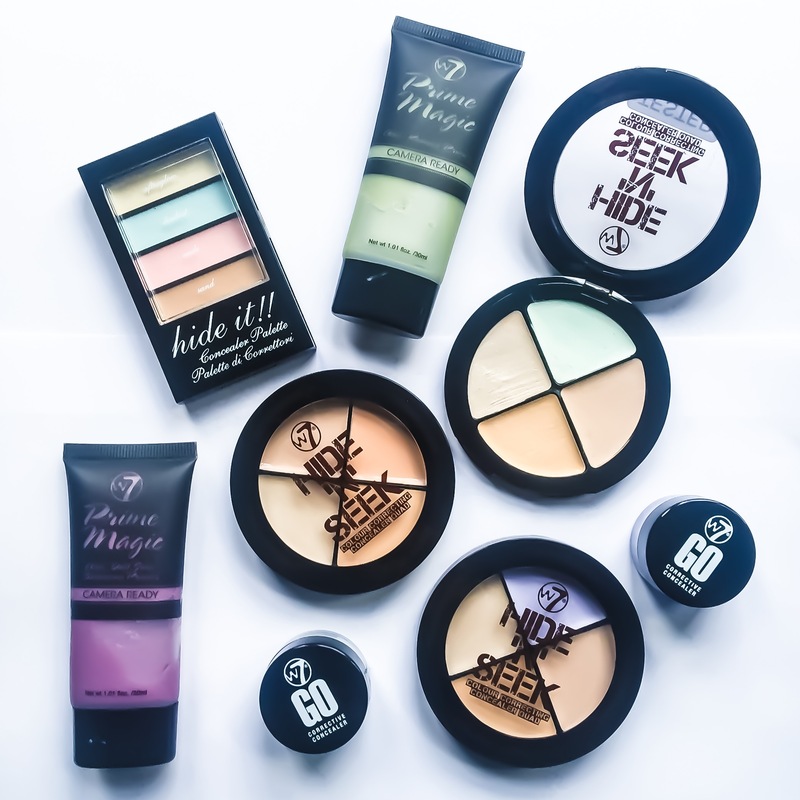 The consistency of these products is very thick, they go on opaque and blend out well. this means that the products stay put under foundation. Each of the quads contain a correcting shade, two different tones of concealer and a highlighter. Have you tried colour correcting before? Let us know your thoughts! Head to our Facebook page now to find out more!